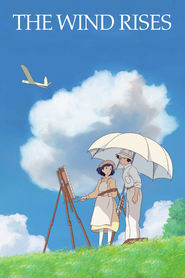 The Wind Rises is the 11th animated theatrical film directed by Hayao Miyazaki at Studio Ghibli. Based on Miyazaki’s own manga and the 1937 short novel of the same name by Tatsuo Hori, this is the story of Jirō Horikoshi, the aircraft engineer most remembered for his design work on the Mitsubishi A6M Reisen “Zero”, Japan’s famous World War II fighter aircraft. During the WWII years, the Miyazaki family business manufactured aircraft parts, including the windshields and rudders used on the Zero.